More police, greater powers, less paperwork? We often hear people in the media saying that more police on the beat will decrease crime: 'we need more police, we need police doing less paper work; police need more powers'. and, in extreme circumstances, take the lives of citizens. The Royal Commission also recognised that the use of these powers was often concentrated in the hands of the youngest and least experienced officers. What police therefore need is not more power, but better training and supervision. While paperwork is often criticised, it fundamentally protects citizens by making police more accountable for their actions. Does having more police reduce crime? Crime rates are not always dependent on the number of police. 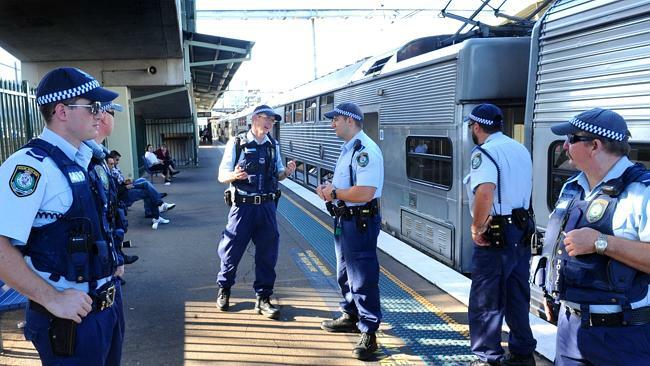 Victoria has the lowest crime rates as well as the smallest number of police per capita. On the other hand, the Northern Territory has the largest number of police per capita, an amount more than double Victoria's, and is ranked second in Australia in both personal and property crimes. The idea that 'More Police = Less Crime' does not always add up. One study found that a 10% increase in police numbers would result in a 3% decrease in burglary. This result was found to be the biggest impact across all forms of crime. In New South Wales, 10% more police would cost the police force about $385 million per year, demonstrating that allocating more police is an expensive response to crime prevention. Imagine what else could be done with $385 million to prevent crime. We could invest in community development, education, health and social services. This kind of spending has long term implications for reducing crime. Spending more money on extra police might increase the numbers of people who are caught for some sorts of crime, but it is not a long term or cost effect crime reduction solution. In fact, crime could actually rise with more police on the street, because low-risk crimes become more prevalent. More police may cost our communities in more ways than one. Do sniffer dogs and police on the streets make communities safe? Many people feel safer seeing police and sniffer dogs on the streets, however it is important to assess the cost of this style of policing. Each of the 30 sniffer dogs owned by the New South Wales Police Force cost taxpayers $90,000 (the equivalent of two teachers' salaries). Imagine the difference that 60 extra teachers in our school system would make. Education has the ability to combat crime more effectively than sniffer dogs. Even though having police on the street can make us feel safer, it is important to remember that many serious crimes like murder, attempted murder, assault and sexual assault are usually not perpetrated by strangers on the street, but by people we know. Feeling safe on the street is important, and having police on the street is one way that this can happen. However, there are a number of other approaches we can take to make our communities safer. The idea that 'catching criminals early stops later crimes' does not always hold up. This is because there are a multitude of systemic social factors that increase the likelihood of criminal behaviour: poverty, low levels of education, intellectual disability, poor health, negative parent-child relations, social inequality, racism, unemployment, and general lack of opportunity. These factors cannot be adequately addressed with punitive solutions alone. Crime reduction is therefore better approached through community-based solutions that not only strive for justice, but also aim for long term skills development and social inclusion. Our communities need real crime prevention. We need to address the social factors that influence why some people get into crime. These are complex problems with multi-faceted solutions. Spending money on increased police or sniffer dogs presence is not as effective in reducing crime as investing seriously in long term crime control strategies.